Last night I got another Nando’s Fix. 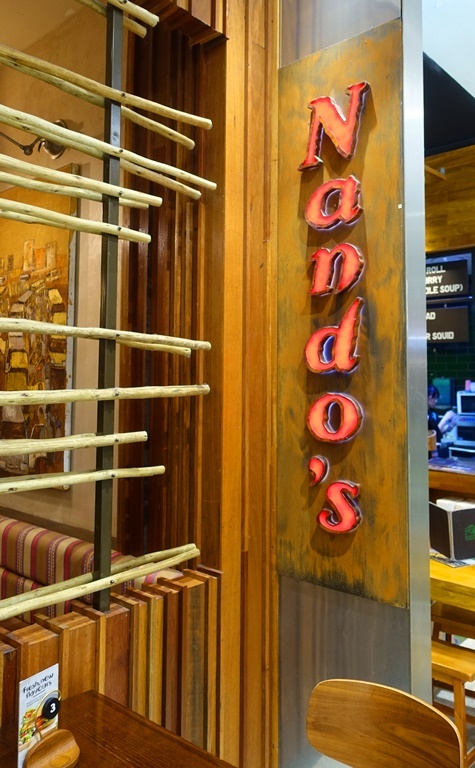 This time it was not as long as my last trip to Nando’s as I was recently in South Africa where Nando’s was founded. However, whenever I visit an area where I can get Nando’s I always get my Nando’s Fix. Last night I had dinner at the Nando’s in the Macquarie Centre. I was so glad when they opened one up there, as before I would have to go to the city center on the weekend to get my Nando’s Fix. After ordering I patiently waited at my table for my food to be delivered. 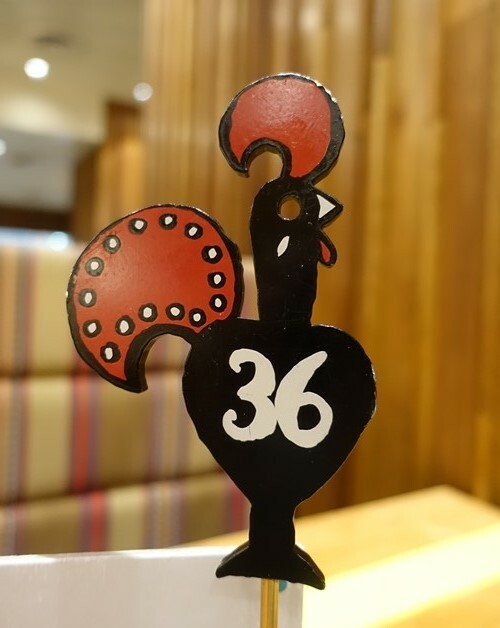 I like the table markers that Nando’s have. I have seen them around the world and always know that I have good food coming. Plus, I like to dip the chips in the medium sauce. 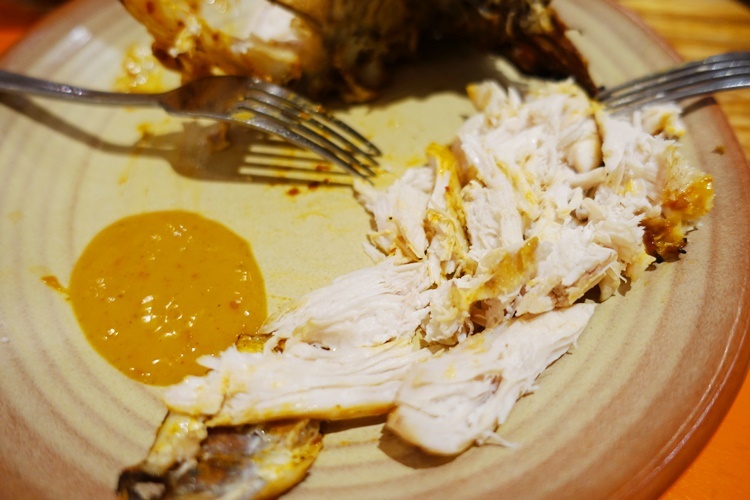 I was soon tearing the chicken apart using my two fork method and had some wonderful pieces of chicken all ready to eat. It was really good as usual. 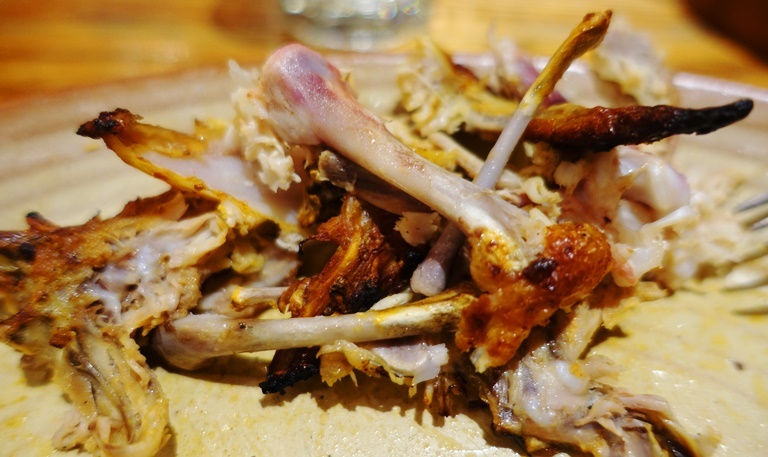 I soon had the chicken down to just a pile of bones and had also polished off the chips. It was all washed down with a nice lemon soda, which is also something else I like to have in Australia. I am sure that I will eat at Nando’s at least one more time while I am here. Perhaps next time I will have the Chicken Ribs. Is there a restaurant chain that you only get to eat at when you travel? 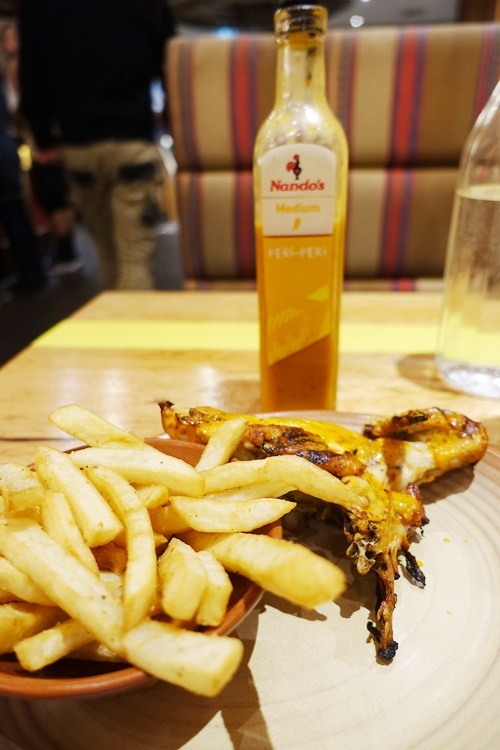 This entry was posted in Australia, Food, South Africa, Travel and tagged Chicken, Macquarie Centre, nando's, North Ryde, Peri-Peri Sauce, quarter chicken. Bookmark the permalink.